In an earlier article we discussed using Oracle Database instance on AWS RDS from Toad Data Point. We discussed establishing a connection with Oracle Database and creating a database table. 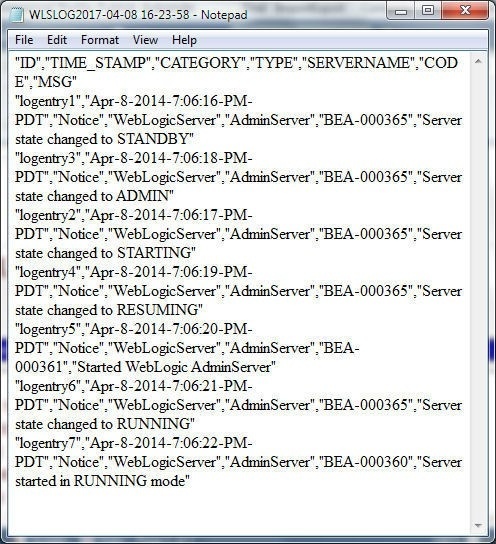 Toad Data Point provides additional features for database data than just connecting and creating a database table. 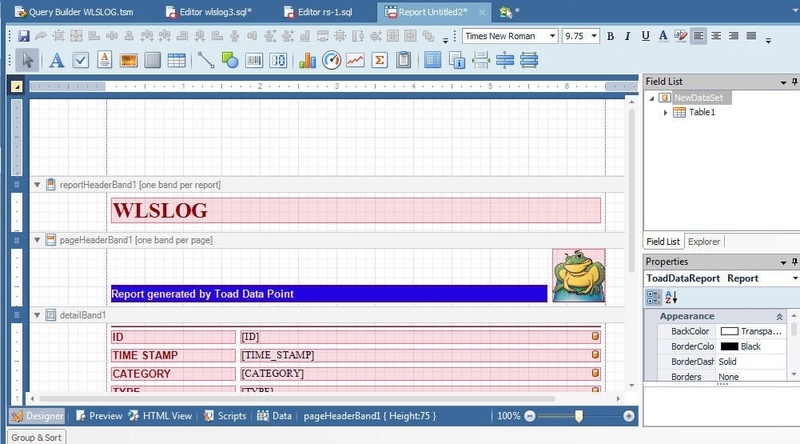 In this article we shall discuss creating different types of reports (CSV, Excel Spreadsheet, and PDF) from database data using Toad Data Point. The prerequisites are the same as for the earlier article. 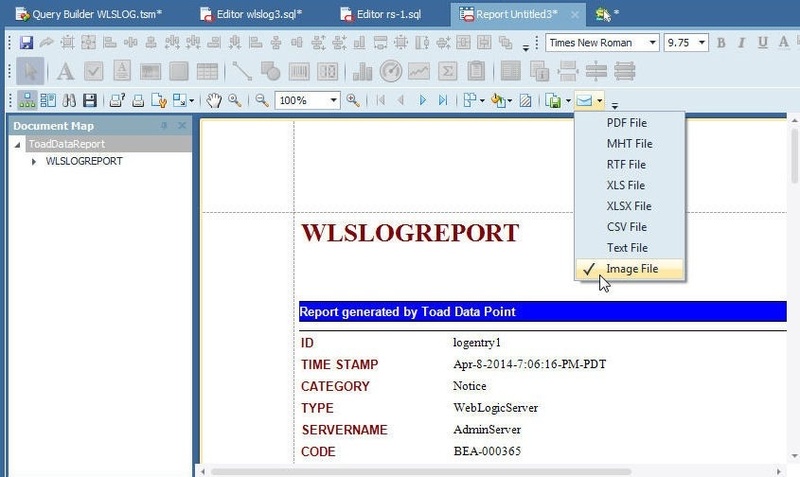 Toad Data Point provides the Toad Report Wizard for generating reports from database data. 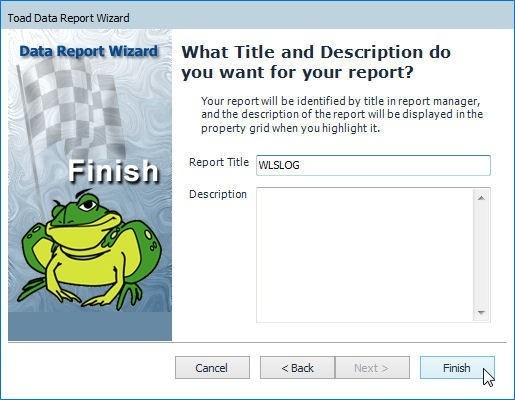 To launch the Toad Report Wizard, right-click on the database table from which a report is to be generated in the Object Explorer>Tables and select Data Reports as shown in Figure 1. 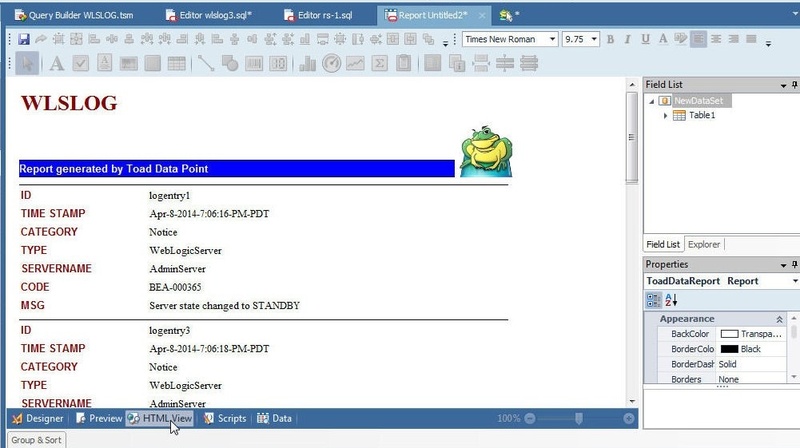 The Toad Data Report Wizard gets launched. Choose report type as Standard Report and click on Next as shown in Figure 2. 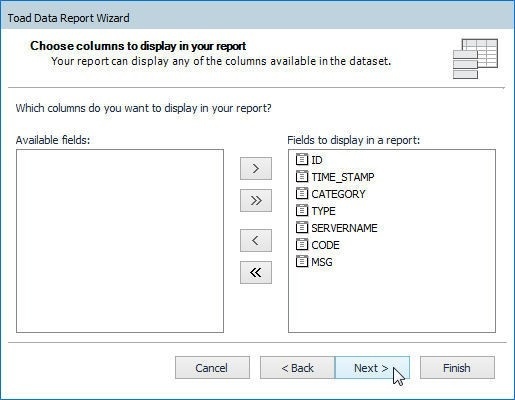 Next, choose columns to display in the report from the Available Fields. Columns may be selected one at a time as shown in Figure 3. All columns may be selected, as shown in Figure 4. Add any grouping levels. 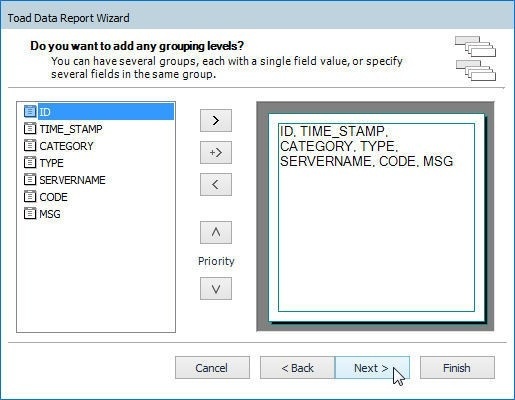 Select the default grouping levels and click on Next as shown in Figure 6. 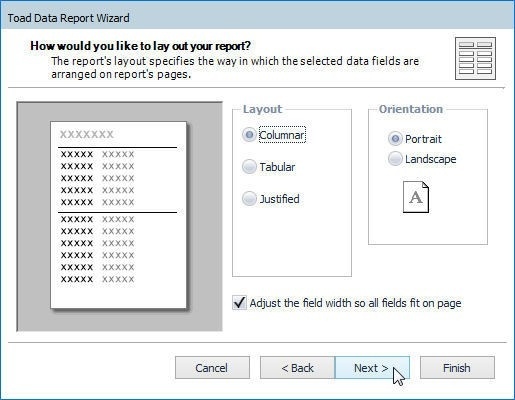 Select Layout (Columnar by default) and Orientation (Portrait by default) for the report as shown in Figure 7. Tick the checkbox Adjust the field width so all fields fit on page. Click on Next. Select a style from Styles (Bold is default) and click on Next as shown in Figure 8. 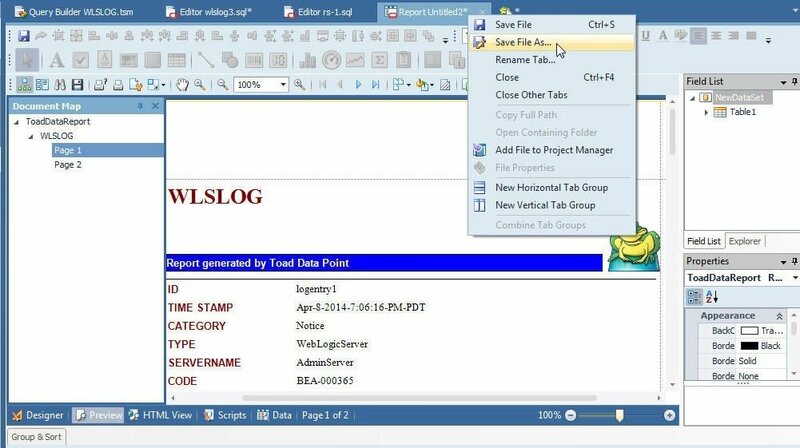 Specify a Report Title and click on Finish as shown in Figure 9. 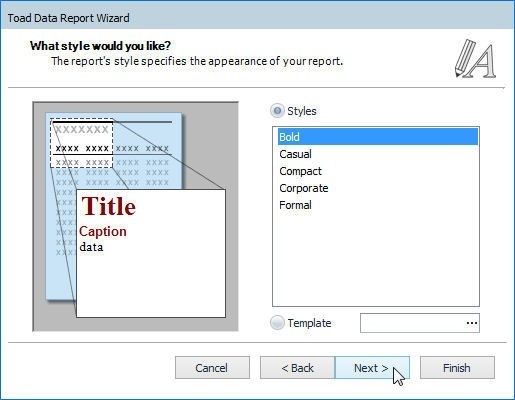 The report template gets created as shown in Figure 10. The Designer tab is selected by default. 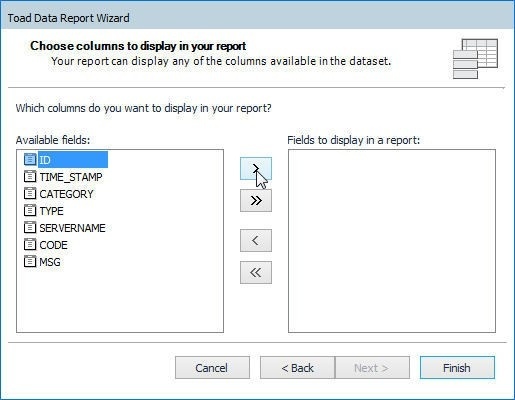 To preview the report click on the Preview tab and the report preview gets displayed, as shown in Figure 11. A report section is created for each row of data in the database table, as shown in Figure 12. 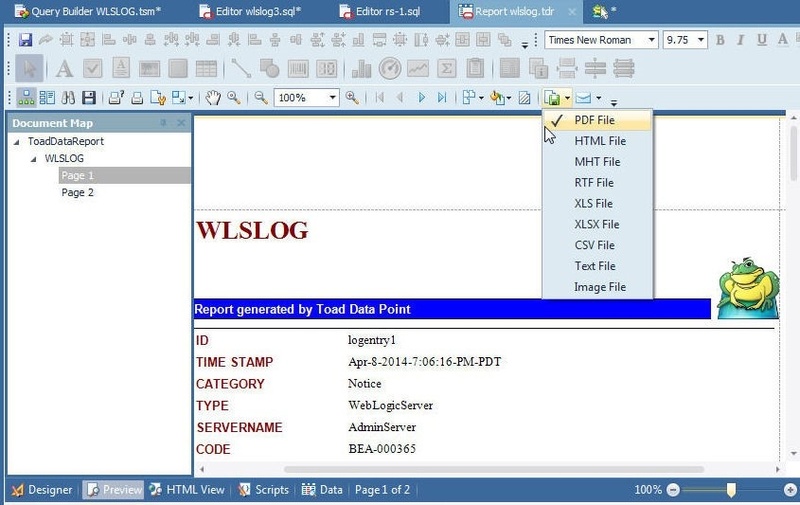 Click on the WLSLOG in the margin to list the report pages, as shown in Figure 13. Page 1 and Page 2 get listed. To display the HTML view click on the HTML View tab as shown in Figure 14. 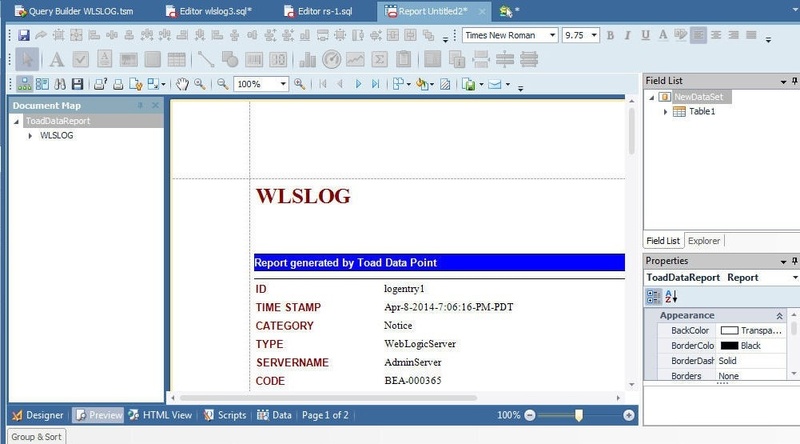 To display the report data click on the Data tab as shown in Figure 15. To save the report right-click on report file tab and click on Save File As as shown in Figure 16. 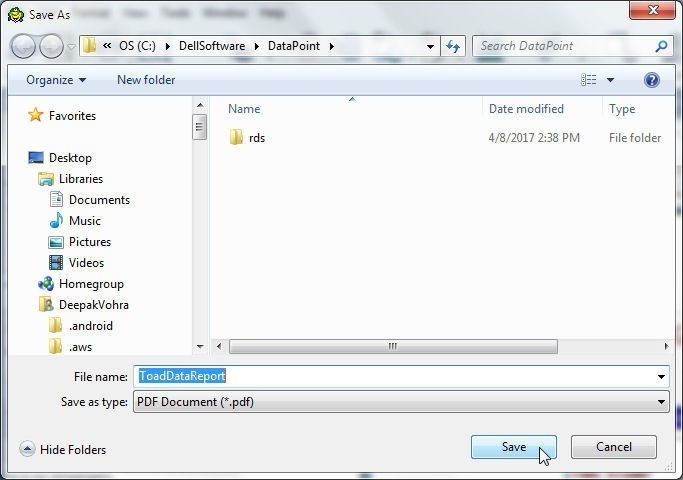 In the Save As dialog specify a file name (.tdr) and click on Save as shown in Figure 17. 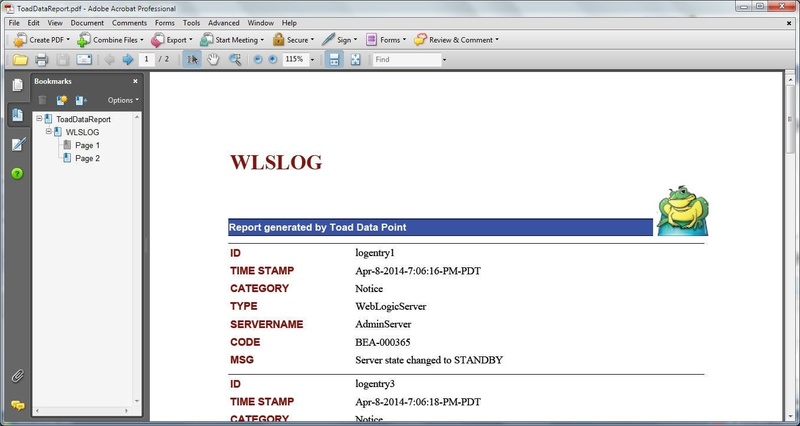 The report may be sent via email with the Send via Email button, as shown in Figure 18. 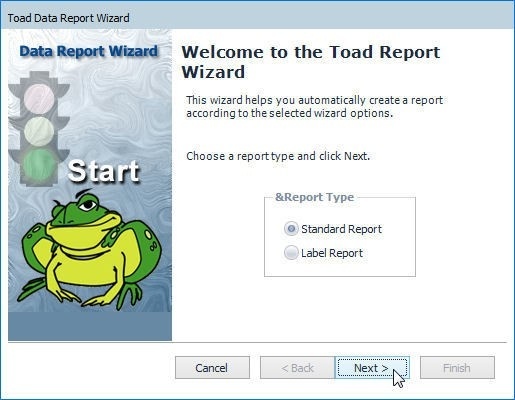 Toad Data Point provides an Import Export Wizard to import/export a report. Click on the ImportExport button in the Toolbar as shown in Figure 19. 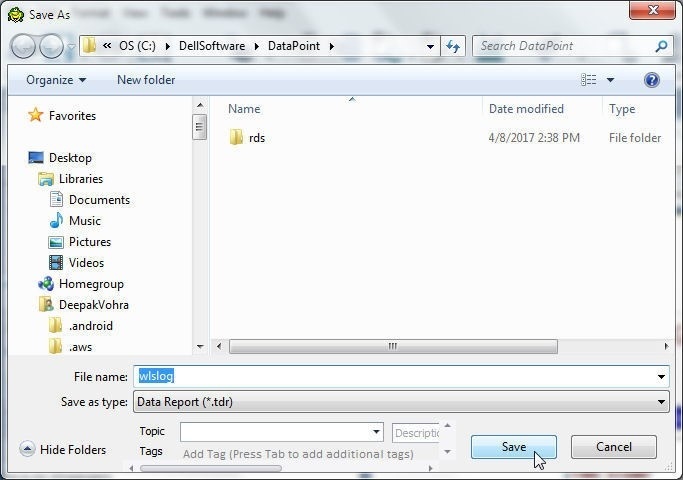 Click on Import Export Data. 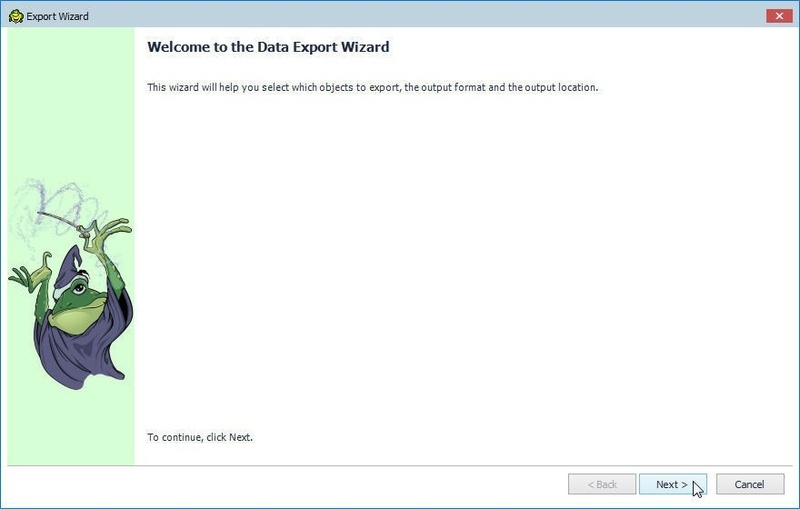 In the Data Import Export wizard two columns are provided: Get Data From and Put Data in, as shown in Figure 20. 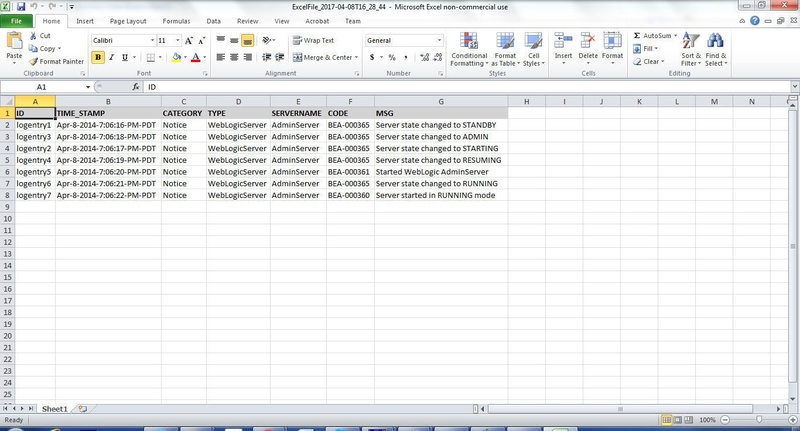 In the Get Data From select Datasource Object and in the Put Data in select File. The Export Wizard gets launched, as shown in Figure 21. Click on Next. Next, select objects to export. Click on Add as shown in Figure 22. Select object/s to export as shown in Figure 23. The Export Category lists the different type of objects that may be exported: Tables, Views, Synonyms, Public Synonyms, Schemas, Text list, Query and Query File. 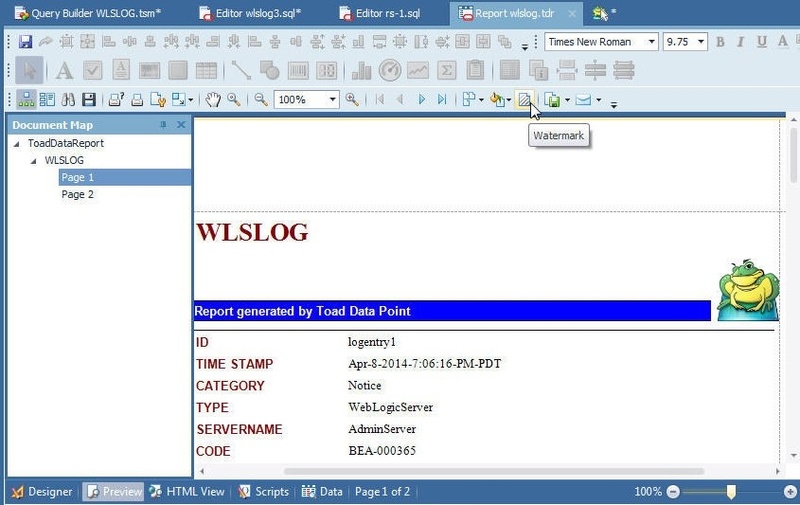 Select the WLSLOG table and click on Next. Select an output format. 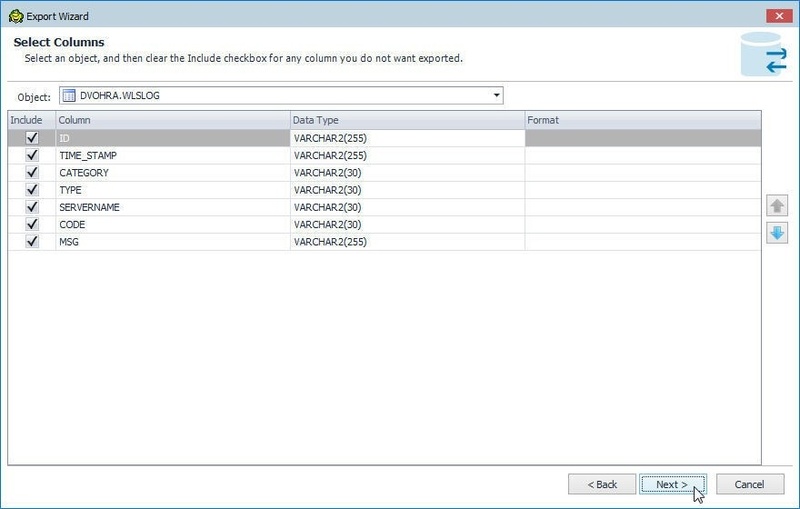 To export to CSV file select Comma Separated Values. Provide additional detail about the output format such as Quote Character and whether to Always quote strings/char and Always quote date time values. 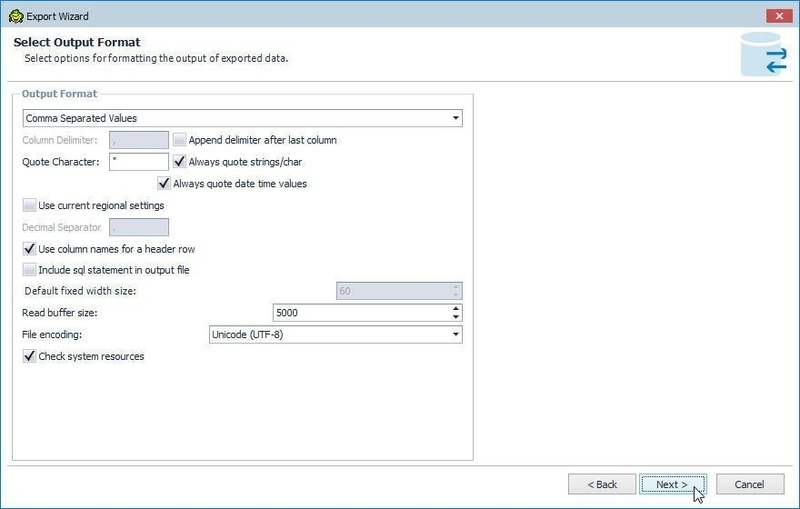 Select Use column names for a header row and specify the Read buffer size and File encoding. The default settings for the Comma Separated Values output format are shown in Figure 24. Click on Next. Select the columns to export. Select all columns as shown in Figure 25. Select Output Options as shown in Figure 26. 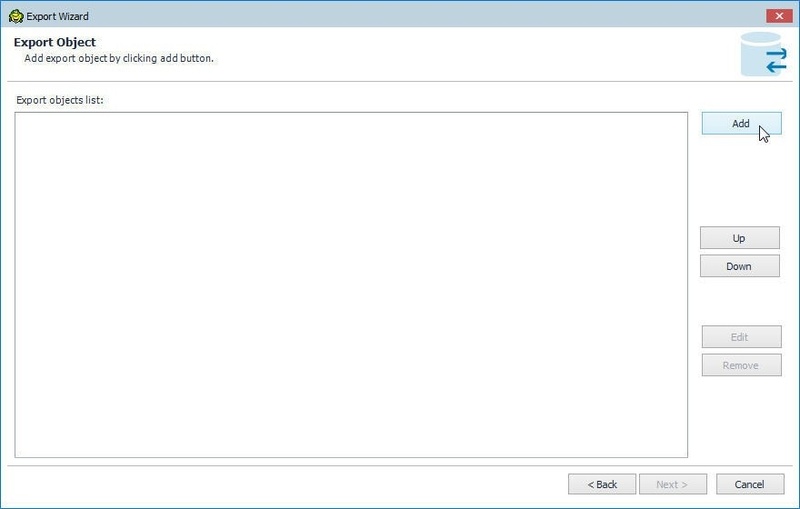 The File output option is selected by default. Specify a directory and file name (WLSLOG.csv) to export to. 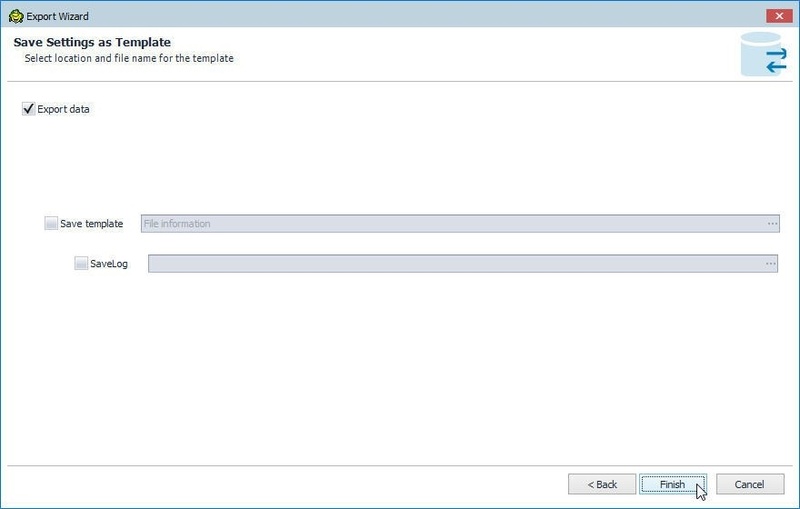 For Existing File the Overwrite option is provided. The Add Date/Time suffix to filename option is selected by default. Click on Next. Multiple objects may be selected in a single export. The Export objects list lists the WLSLOG table, as shown in Figure 27. Click on Next. Next, to complete the save settings, optionally select Save template and SaveLog options. 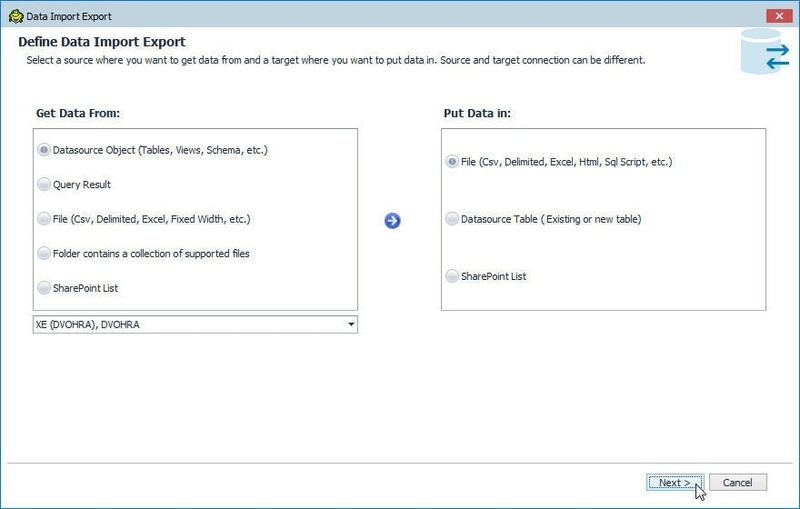 Click in the checkbox Export data as shown in Figure 28. Click on Finish. 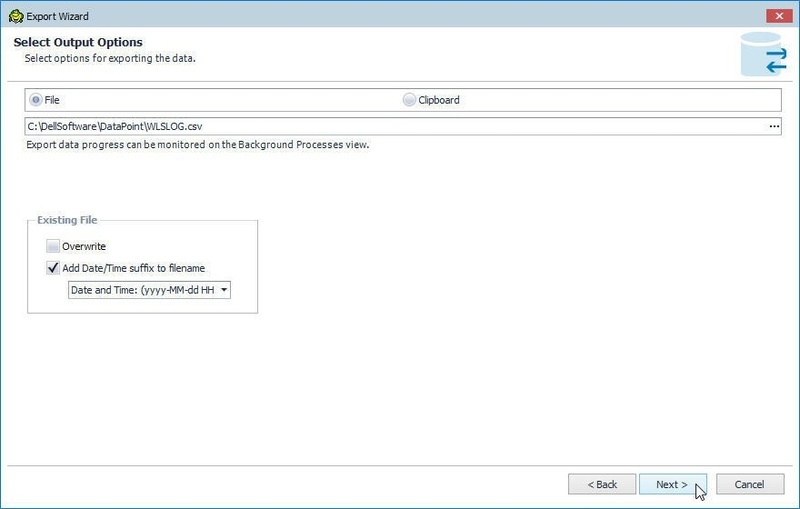 Data gets exported and the Export Finished dialog gets displayed, as shown in Figure 29. The Export data summary results include the number of rows read, number of rows exported, and status and file name exported to. Open the .csv file to which the data is exported in a Notepad or other text editor, as shown in Figure 30. 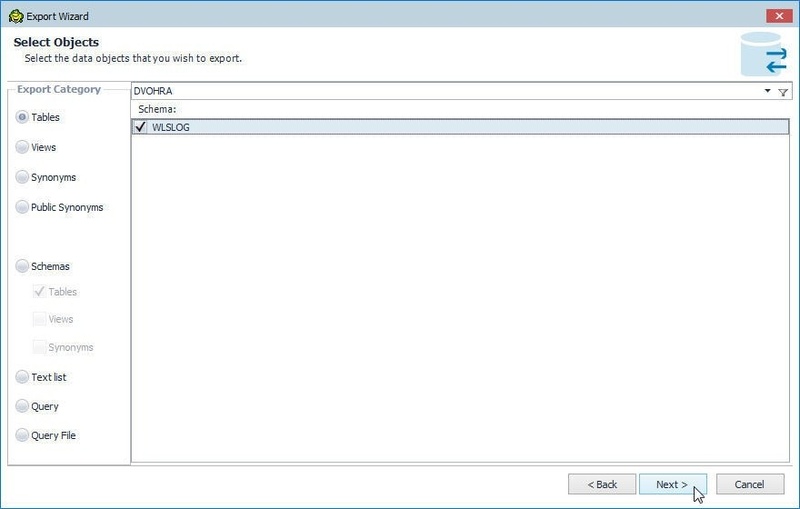 To export a report to a PDF file, click on Export Document as shown in Figure 31. Select from the list of output formats. 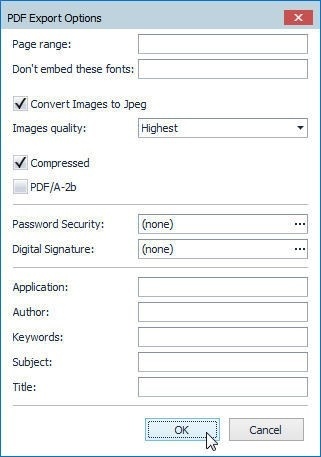 For exporting to a PDF document select PDF File as shown in Figure 32. In the PDF Export Options select the default settings as shown in Figure 33 and click on OK. 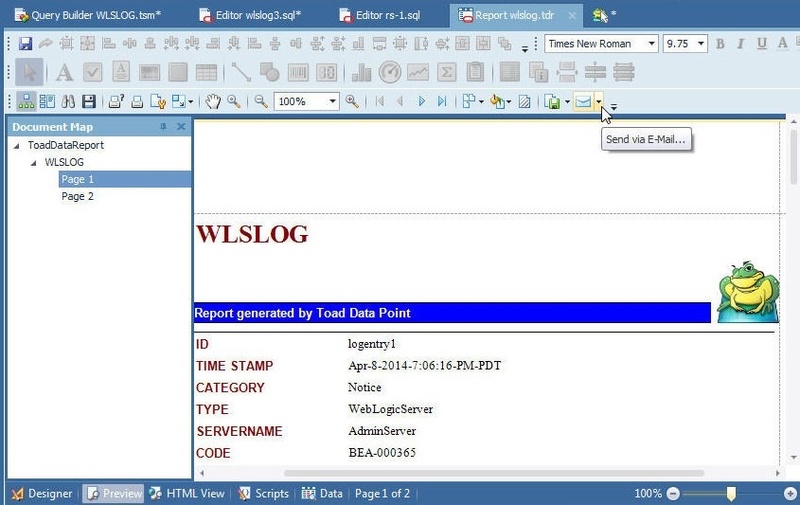 In Save As dialog specify a File name (ToadDataReport.pdf) and click on Save as shown in Figure 34. The report gets exported to a PDF file. 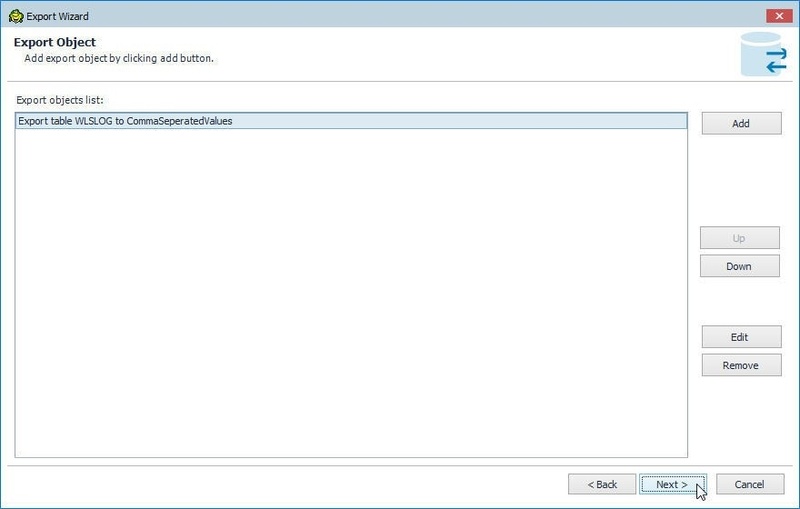 An Export dialog gets displayed for user input on whether the exported file should be opened, as shown in Figure 35. The PDF Report gets displayed in Adobe Acrobat or Adobe Reader as shown in Figure 36. The Export Document lists options to export to other output formats. To export to an image file select Image File as shown in Figure 37. 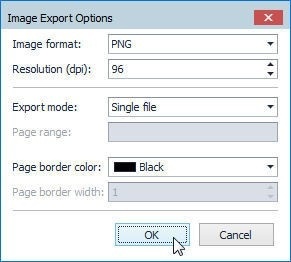 Select the Image Export Options, such as Image Format, Resolution, Export mode, and click on OK as show in Figure 38. 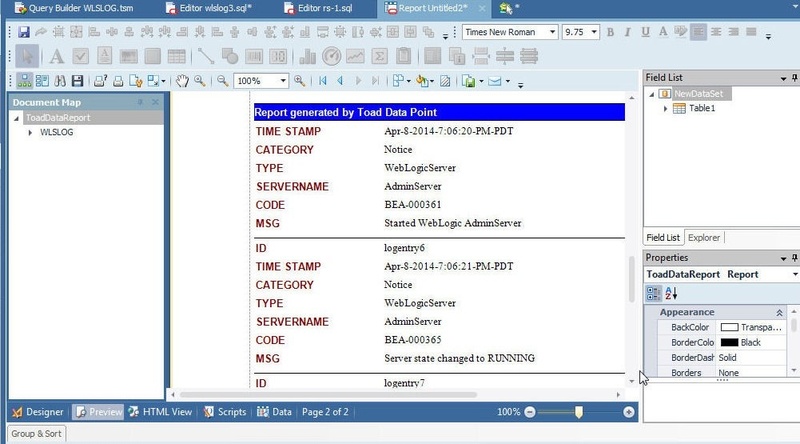 The Data report has the provision to add a watermark to a report. 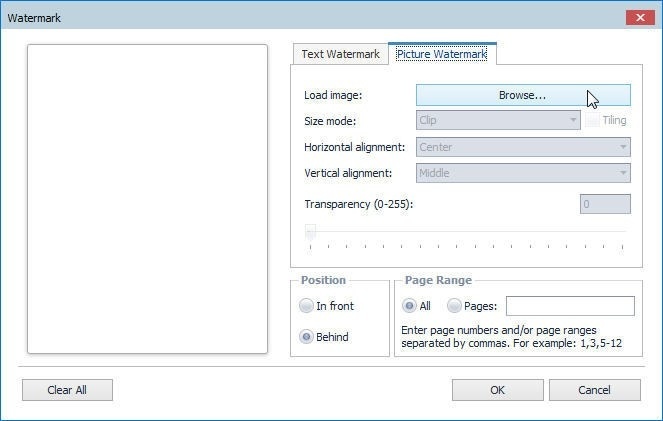 To add a watermark select Watermark as shown in Figure 39. 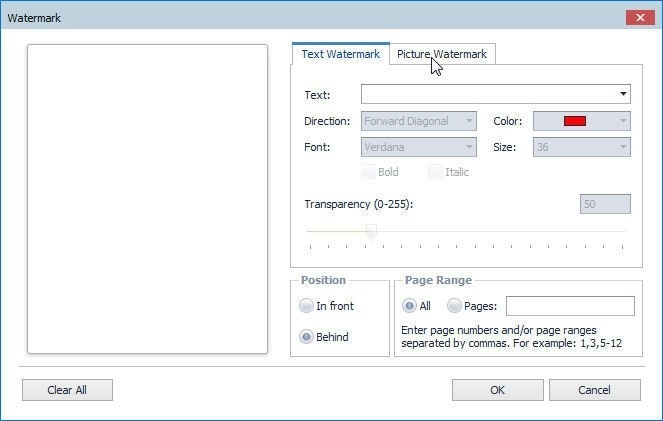 In the Watermark dialog select from one of the two watermark options: Text Watermark and Picture Watermark. 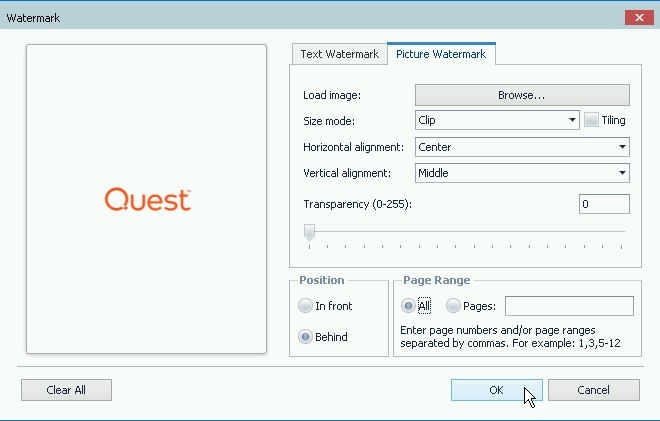 Select the Picture Watermark to add a picture as a watermark as shown in Figure 40. An image is required for a Picture Watermark. Click on Browse in the Load image as shown in Figure 41. 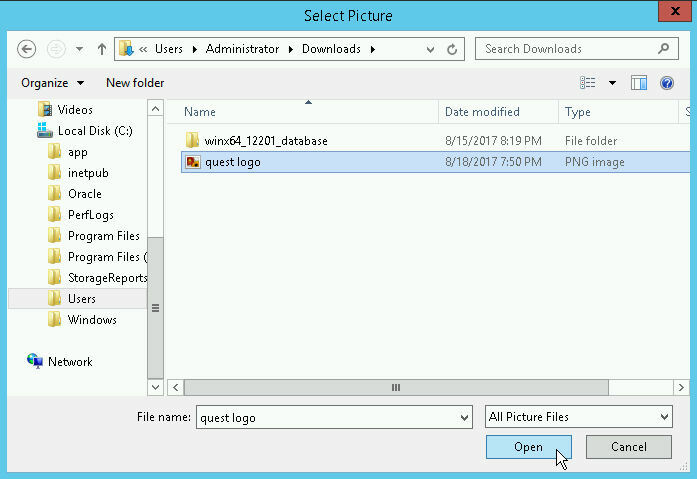 In Select Picture select an image to upload and click on Open as shown in Figure 42. Select the Position (Behind) and Page Range (All) as shown in Figure 43 and click on OK. The image gets added as a watermark to each page in the data report as shown in Figure 44. Export the data report to a PDF file and the Picture Watermark is added in the PDF file, as shown in Figure 45. Query result data may be exported to an Excel file. After generating a query result select Export data to an Excel file as shown in Figure 46. The query result set gets exported to an Excel file and an Export Finished dialog gets displayed, as shown in Figure 47. A link for the File Name including directory path is also provided. The Excel file exported is shown in Figure 48. 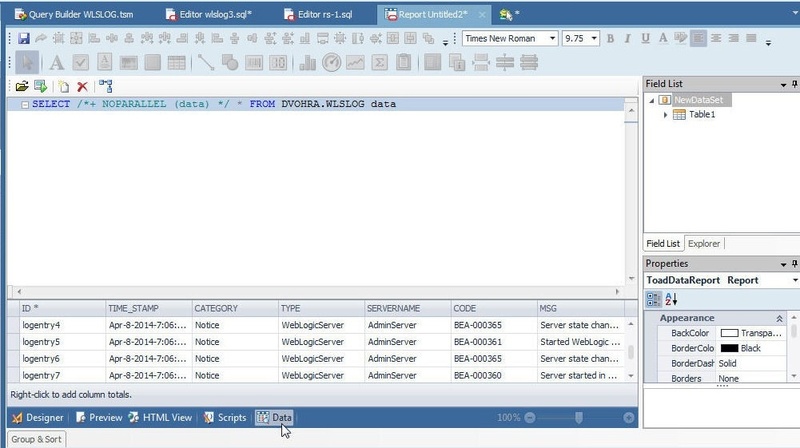 In this article we discussed generating reports from an Oracle Database table in Toad Data Point. 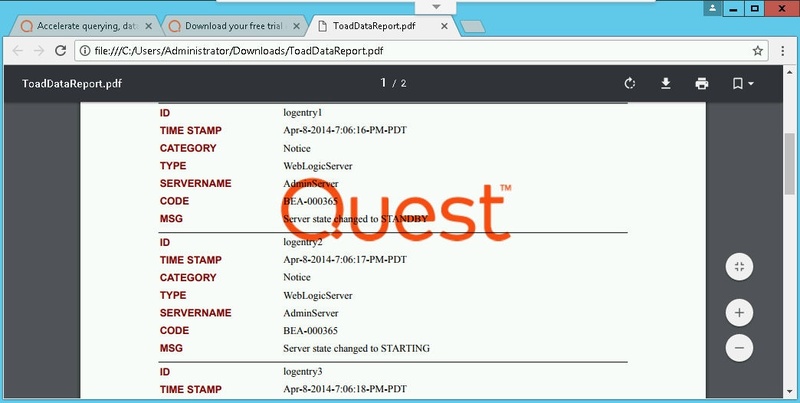 Several different kinds of reports were generated: CSV, HTML, Excel and PDF.